WT | Wearable Technologies organizes conferences on wearable technologies for a decade now. 2016 marked the 10th anniversary of our profound B2B event featuring an extravagant line-up and substantial networking. WT events connect the who-is-who of the entire wearable ecosystem since 2006. 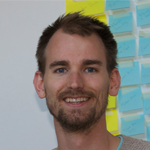 Oliver Niedung was born and grew up in Hannover, Germany and started his career at the mobile device manufacturer Höft & Wessel AG as a developer. He studied Medical Informatics at the University of Hildesheim. At Berner & Mattner in Ottobrunn, Oliver developed complex object oriented simulation and training software, before he moved to a Key Account Manager role within the same company. 1999, he joined Visio Inc. that was acquired by Microsoft the same year. 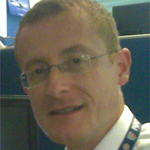 Within Microsoft, Oliver was responsible for Microsoft TV in 2000-2002 and then moved into the OEM division where he was managing the Embedded Server Sales team in EMEA, working with key accounts from Healthcare, Industrial Automation, Transportation, Broadcasting, Retail, Security and Surveillance. 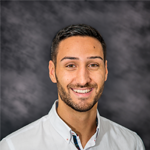 In 2013, Oliver changed into a Sr. Channel Executive role in the IoT Device Experience team in Microsoft and since 2015, he is part of the Microsoft worldwide Azure IoT Incubation team in Microsoft OEM, working with OEMs and ISVs in EMEA on device connectivity to Microsoft Azure. Julio Terra works closely with Kickstarter creators from the Design and Technology communities. He helps them plan, develop and run campaigns to bring projects and products to life. Before Kickstarter Julio worked as a producer of interactive installations at the LAB at Rockwell Group, and explored creative applications of hardware technology at NYU's Interactive Telecommunications Program. Lisa Lang has a name ripped straight out of a Marvel comic, and delivers the personality to match. And she too has a superpower: Lisa brings people together to create new, innovative, beautiful products. Lisa was raised in a Franconian craftsman family, and studied Art, New Media, and International Business Management. More than 10 years into her technology and media career, she has lived and worked all around the world. In that decade, she’s gained a strong reputation for being a game-changer in digital product and media innovation. Lisa brings the full array of her experiences and passions to the table as founder of ElektroCouture (est. 2014), a collaborative house for bespoke technologies. 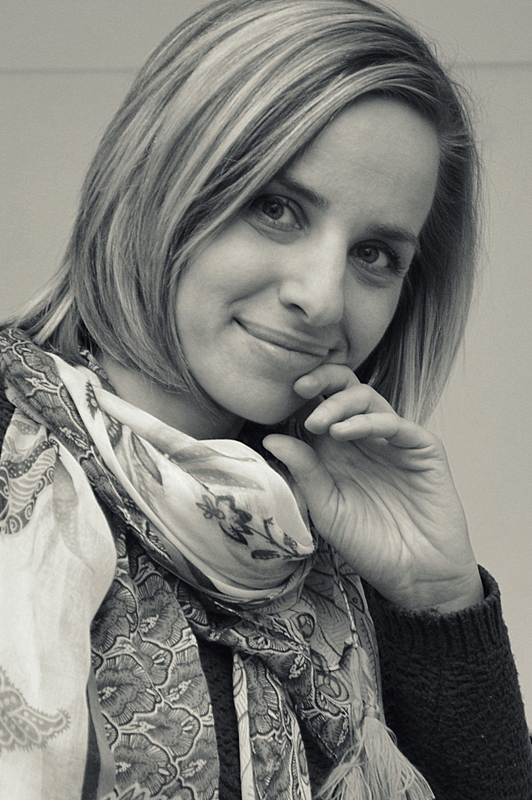 Lisa is a mentor to several European hardware startups, and a strong advocate for the Berlin technology ecosystem. She has been named one of the top 100 most influential people in wearable tech worldwide. 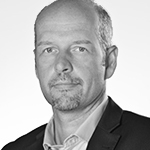 Dirk Muehlenweg is Business Development Executive for Internet of Things in the DACH Region. He has a background of ten years in Business Development as well as Business & IT strategy consulting including assignments in large international business & IT transformation projects. Furthermore, Dirk has five years experience in Industry, Solution and Product Marketing where he held various senior leadership positions. Dirk's goal is to deeply understand client business challenges in their particular industry environment. This enables him to compose IBM Cognitive IoT solutions for clients to outthink competition. Brad is responsible to define and drive the strategic initiatives at Lycos Internet Limited. Brad is also responsible to oversee the M&A activities of the company. Prior to this position, Brad was President – Business Integration & Strategic Initiatives that led Ybrant (presently Lycos) achieve impressive business results. An entrepreneur since college, Brad Cohen has founded and managed more than ten successful ventures since 1993 and has a deep understanding of the global Internet marketplace. Brad started his first company, Trident Industries, while in college. Brad was co-founder of eCollege.com, one of the first companies to offer online-distance education programs for Colleges and Universities. As President of the company, Brad managed all software/web development, and the day-to-day business operations. In 1998, Brad co-found Cohen Capital; under his leadership, Cohen Capital Technologies founded Neural Technologies, LLC., a software development company based on the only known Instantaneously Trained Neural Network Algorithm. 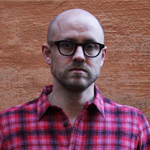 In 2002, Brad co-founded what is now known as MediosOne, the Global Online Advertising Network. Brad received a BA from the University of Missouri in Marketing and Political Science. Uri Keren is The CEO and Co-Founder of Hermes Innovation Ltd., developing SAY - an innovating wearable social platform. Previously, Uri held executive positions at Applied Materials and Kodak, Founded and managed several startup companies such as CareerHarmony (acquired by Manpower Inc.), Ingenio (acquired by SAP), SleepRate, and MedPal Health Solutions. In recent years Uri worked on non invasive sensor technologies projects with companies such as Samsung, LG, Adidas and Nike. Uri holds a B.Sc. 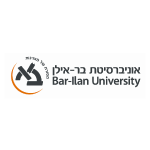 in Computer Science from the Technion—Israel Institute of Technology. Keith Errey is the CEO and co-founder of Isansys and is a strong advocate of digital and data driven methods in healthcare. A serial entrepreneur with a long practical interest in technology businesses that originate from translational research, he has wide experience in several industries including mining, telecommunications, instrumentation and medical devices, and a life-long commitment to education, having worked both as a schoolteacher and university lecturer. He has physics degrees from Oxford University and the University of New South Wales and is currently serving on the Wealth Creation Working Group of the Oxford AHSN. Dr. Sabine Seymour is an entrepreneur and researcher focusing on the next generation of wearables and the intertwining of aesthetics and function in our garments. She is described as being an innovator and has been involved in wearables for almost two decades. 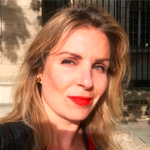 Sabine is the founder and CEO of Moondial, a consultancy working with Fortune 100 companies worldwide on inventing new products, examining manufacturing processes, and building prototypes. She recently founded the soft computation start-up Moonlab to serve the need for a truly seamless sensor system for clothing. Sabine is an active member in the wearable technology community; which affords her to have access to the latest R&D. She recently was a visiting researcher for Computational Cellulose at Aalto University in Helsinki, curated the MAK Fashion Lab at the Museum of Applied Arts in Vienna, co-directed the research project BODYMetaphor at The New School, and was on the steering committee for ZeroPower Smart Fashion. Sabine authored the successful books "Fashionable Technology, The Intersection of Design, Fashion, Science, and Technology" and "Functional Aesthetics". Francis is the Director of Strategic Partnerships at Misfit. A leader in the world of digital health, Misfit invents and manufactures wearable and smart home products, including Misfit Flash and Misfit Shine Fitness and Sleep Monitors. 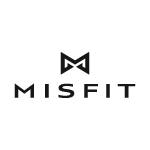 Misfit has a wide array of partnerships across the healthcare industry with insurers, retailers, employers, and wellness platforms. Francis leads Misfit’s software partnerships and business development solutions, working closely with Misfit’s commercial and product teams. Prior to Misfit, Francis worked in advertising insights and strategy with a diverse client base including, Disney, KIA Motors, Best Western and Dr Pepper Snapple Group. He holds a BA in English and a BS in Finance from the University of San Diego. 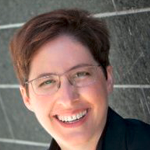 Karola Kreitmair received her PhD in philosophy from Stanford University in 2013. (She also has an MA in linguistics from Edinburgh University and a BA in philosophy from Brown University.) 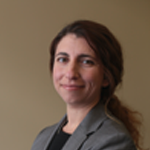 She currently teaches at Stanford University and is an affiliate of the Stanford Center for Biomedical Ethics. Her interests are in mobile health, research ethics, and neuroethics. She is particularly interested in questions of agency and authentic living. 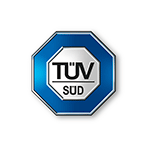 Asli is the global head of electrical and electronics products at TÜV SÜD. Having worked in technology and testing, inspection and certification companies for over 12 years, Asli brings extensive knowledge both from a product and service perspective. She has held various management positions in the area of marketing, sales and business development. Asli holds an MBA degree from the University of Mannheim. his father he now realized the Cardio First Angel, a compact and lifesaving first aid device for laymen. 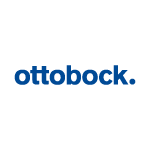 Walter Lunzer works for Ottobock Vienna, one of the leading enterprises for prostheses, ortheses and mobility solutions. For the enterprise he researches on textiletechnologies and fashionaspekts in medical products. The main purpose of his work is to improve the interface between human body and medical product, by using textile-knowledege and to position Ottobock products not only as medical decive but also as lifestyle poducts. Lunzer runs his own enterprise where he works as designer and consultant in the fields of fashion, education, Art & Science. In this function he gives fashion design classes, so called” stitching sessions” and helps fashion start ups to build up their business. One of it is the successful made to measure jeans label “Gebrüder Stitch”. Additionally he teaches at the University of Applied Arts, Vienna. He studied fashiondesign, tayloring and learned millining and hatting at the Fashion Institut Vienna. 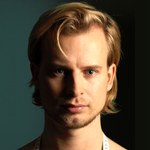 Additionally he studied art and design education at the University of Applied Arts, Vienna. During his studies he already sold his own collections and specialized on made to measure fashion. Jens Krauss received his Master in Engineering Sciences in 1991 at the Swiss Federal Institute of Technology (ETHZ), followed by a two-year research stage at the ‘Politecnico di Milano’, Italy. Back to ETHZ at the Institute of Biomechanics, Mr Krauss lead the software team of European Space Agency (ESA) human spaceflight project TVD, successfully concluded with the Space Shuttle Mission STS-78. Mr Krauss joined CSEM in 1996 and is leading today the Systems Division, with a total of 92 scientists and engineers in the strategic Scientific Instrumentation and Medical Device Technology R&D activities. Mr Krauss serves as President of the Swiss Society of Biomedical Engineering. 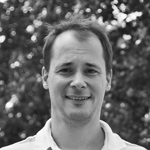 Timo Lisk is a Technical Marketing Manager at Infineon Technologies AG. He started working in 2003 as an engineer for smart card software. At Infineon he is responsible for monitoring technologies and evaluating its impact on present and future chip designs and products. His main focus is on smart payment technologies. Timo holds bachelor degrees in engineering and economics. and Chairman at Educe Mobile. With more than 16 years proven business development experience and working with key industry players including Samsung Electronics, Nike, and B2B – Trina Solar, Intel Corporation. Scott has proven track record with commercial success consistently achieved obtaining market share and increasing revenue. He has developed and executed growth strategies for companies ranging from mid-size to F50 companies. Scott has on-the-ground experience across US, Europe, Asia and Latin America. He holds a Master’s Degree in Business Administration and Certificate in Accounting Program from the University of Washington, Seattle, USA. He is fluent in English, Korean and is developing his skills in Mandarin and German. Philip Campbell is the founder of KERV - the worlds first contactless payment ring. 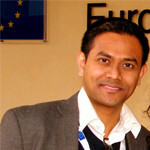 He has 7 years experience in the emerging payments industry, marketing a range of payment and electronic money products. Frustrated with the progress of payment wearables provided the motivation to start KERV. 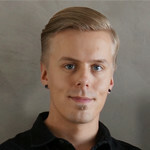 Mr. Joni Kettunen, PhD, is a pioneer in physiological analytics and its applications. He is leading Firstbeat at the cutting edge of heartbeat analytics for wearables, fitness devices, wellbeing services and professional sports. As of today, Firstbeat analytics is used by hundreds of elite sports teams, thousands of corporations, and millions of consumers to improve their performance and wellbeing. Before founding Firstbeat in 2002, Joni has published research in the areas of psycho physiology, behavioral medicine, autonomic nervous system function and stress quantification. Joni received his PhD from the University of Helsinki in 1999. Claus B. Nielsen works with Health & care Technologies at DELTA, a Danish Innovation & Technology Company specialized in microelectronics, sensors, light & optics and testing. He has a long track record of working at the national level in politics, focusing mainly on implementation of ICT & Innovation. He have been in charge of large national projects in the public sector within the elderly and health care sector, developing and implementing nation-wide ICT & mobile solutions. He has been the Local Government’s member of the steering committee of MedCom (Danish health data network), the National Health Portal and contributed to the Danish national ICT strategies for eHealth. He is currently appointed as special adviser for the Danish government's Council for Telemedicine. 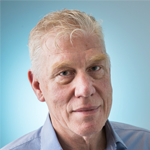 He is involved in several international advisory boards, Programme committees and been part of several major EU R&D projects within the field of mHealth, Telehealth and Ambient Assisted Living (AAL). He is a thought speaker at many conferences around the world. He was the prime mover behind the launch of a national political discussion of future AAL services in Denmark (welfare Technology), which resulted in large funding from the government. On behalf of the Danish Ministry of Science, Technology & innovation, he was chairman of the AAL Forum 2010 that attracted more than 2.500 people and 850 delegates from 33 countries, in addition to world class thought leaders in Technology & Innovation. 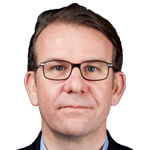 He is currently vice chair of Continua Europe under the umbrella of Personal Connected Health Alliance, where he works globally to promote the uptake and deployment of personal connected health. Daniel is the co-founder and Chief Clinical & Science Officer of Eargo. Prior to Eargo, he was a co-founder of multiple medical device companies. He has a background in medicine and engineering, having attended MIT (undergraduate degrees in Electrical Engineering and Computer Science), the MIT Media Lab, and Stanford Medical School. 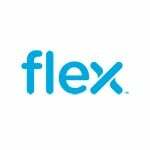 EJ Shin leads the strategic planning team at Jenax in Korea, taking the responsibilities of marketing and business development of J.Flex, flexible battery developed by Jenax. She successfully launched the innovative technology J.Flex at CES 2015 in Las Vegas, US and Wearable Expo in Tokyo, Japan. 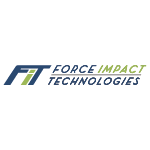 These leading initiatives were driven to establish global strategic partnerships and expand the product's applications to help further create innovative products. Jenax recently won an award by Korean Ministry of Trade, Industry and Energy and Presidential Council on Intellectual Property for its excellent management utilizing its patents. 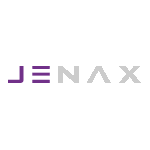 Jenax will continue to support partners to strengthen its product capabilities through close collaboration. 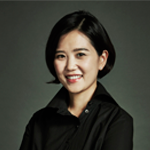 She is the daughter of the founder and CEO of Jenax, Lee Hyun Shin. After having graduated from Tufts University in Massachusetts, US, she obtained Masters of Business Administration from Yonsei University in Seoul. She is married and has three young children. 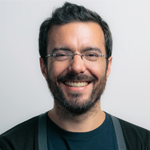 Paulo has a Degree in Computer Sciences applied to Management from University Portucalense (Porto, Portugal) and a Master in Innovation and Technological Entrepreneurship from University of Porto (Portugal). He has started until now 5 different companies. 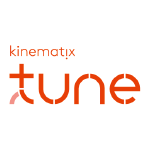 Presently, he is the CEO of Kinematix a company based in Porto (Portugal) and Austin (US) that develops innovative wearable devices. 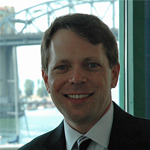 Barrett Larson, MD is a Stanford trained physician, entrepreneur and innovator. He earned his medical degree from Stanford University and stayed there to do his residency training in anesthesiology. 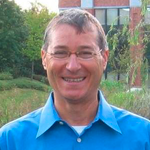 He is on faculty at Stanford and is Director of the Stanford Anesthesia Innovation Lab (SAIL). Dr. Larson has received numerous research and technology innovation awards and is focused on developing disruptive medical technologies that improve patient care and healthcare efficiency. 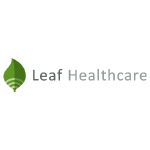 He is co-founder and CEO of Leaf Healthcare, a company that is developing new applications for wearables in the hospital environment. 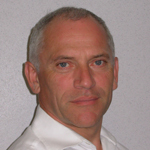 Tim is an award winning Mechanical Engineer from London UK and the CEO and Co-founder of Kokoon Technology. Having worked at a leading product design agency, Tim embarked on a career in the City of London where he developed deep experience in launching innovation projects in a number of different industries. As a Media Sciences major Bettina Brammer has many years of experience in operational and strategic marketing in the consumer goods industry and in the technology sector. She was, among other things, responsible for brand management and product and channel marketing for Ben Sherman in New York and ASICS in Japan. 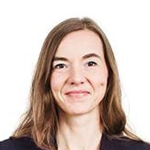 She gave up her position as head of marketing at the solar company Q Cells in autumn of 2013 to take responsibility for sales and marketing at VivoSensMedical GmbH. 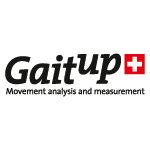 In early 2014 Bettina became a partner at VivoSensMedical GmbH. 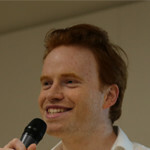 Visa Kupias is a co-founder and designer of Avanto. Visa received his MA Industrial and Strategic Design degree from Aalto University, School of Arts, Design and Architecture in 2015. Visa's main knowledge areas range from technical design skills and manufacturing processes to service design and user-centered design and have recently focused on the wearable technology field. Visa is also an enthusiastic diver and has personally taken part in testing the Avanto diving suit. Visa has previously studied industrial design in California, USA as well as completing his BSc in London, UK. Robert Kaul is a repeat entrepreneur with extensive startup experience. In particular, his team has focused on bringing innovative Canadian technologies to World markets since 2005. 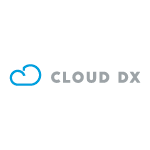 He founded and exited the predecessor company to Cloud DX in less than nine months and then led the publicly traded acquirer Biosign Technologies as CEO until 2014. Cloud DX Inc has earned multiple awards for innovation including first prize in Wearables & Biosensors, and second prize over all at the Interface Health IHX Challenge 2015; Cloud DX was recognized as 2015 Ontario Startup of the Year for Innovation and featured in the original documentary series “Now What with Ryan Duffy” as the provider of innovative solutions for some of the most challenging healthcare issues worldwide. Team Cloud DX is a global top-7 Finalist in the $10 million Qualcomm Tricorder XPRIZE Competition. As Founder of the British connected products startup Connect-In Ltd., Raj SARK is an active innovation driven entrepreneur who makes use of technology to solve practical problems. Raj comes from a background in systems design having worked 5+ years in the wireless industry from multi-nationals to SMEs alike. His venture Connect-In Ltd. designs and manufacture Bluetooth Smart™ solutions with focus on energy efficiency. Their flagship product LUPO helps users to keep track of valuables (keys, wallet or travel kit) straight from the smartphone! LUPO is a winner of multiple innovation awards including from MIT and Nokia. Philipp (born 1971 in Kiel, Germany, father of three) studied Business Administration in Hamburg and Munich. 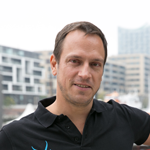 Beside his function as WLS’ CEO Philipp is Head of Research and Development at GLUCE (Global Understanding Center of Electro Muscle Stimulation). He gained his skills as Serial Entrepreneur (getyourcar, m-broker, Motonautic), Independent consultant, member of executive and supervisory boards at several start-up companies (e-Sixt, sleeq, stay friends). As a passionate athlete Schwarz competes in any kind of sports (triathlon, cross-country skiing, long distance swimming). Zeev Zalevsky received his B.Sc. and direct Ph.D. degrees in electrical engineering from Tel-Aviv University in 1993 and 1996 respectively. 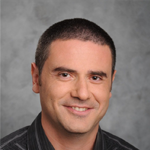 Zeev is currently a full Professor in the faculty of engineering in Bar-Ilan University, Israel. His major fields of research are optical super resolution, biomedical optics, nano-photonics and electro-optical devices, RF photonics and beam shaping. Zeev has published more than 400 refereed journal papers (including papers in journals such as Progress in Optics, Nano Letters, Nano scale, Scientific Reports, Nature Photonics, Nature Communication etc), more than 200 conference proceeding papers, more than 400 international presentations, 40 issued patents, 6 authored books, 3 books as an editor and 27 book chapters. He founded several startup companies and many of his patents were commercialized (PrimeSense/Apple, Civcom/Padtec, Explay/Caga Electronics, Xceed Imaging, Sony, Lenovo etc). For his research activity Zeev received many awards.In 2007 Zeev has received the Krill prize, in 2008 the International Commission of Optics (ICO) prize and the Abbe medal, in 2009 the Juludan prize, in 2010 was selected to be a fellow of the SPIE, in 2011 received the international SAOT, in 2011 received the Lean and Maria Taubenblatt Prize, in 2012 was selected to be a fellow of OSA, in 2012 received the young investigator award in nanoscience and nanotechnology, in 2013 received the OSA Outstanding Reviewer Award. 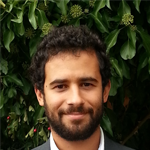 In 2014 received the EOS fellow award, in 2015 the Image Engineering Innovation Award and the Outstanding Young Scientist Award (OYSA) of NANOSMAT. Along the years also received several best paper awards. 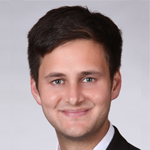 Sascha Firtina gathered experience in several international startups with a strong focus on Sales & Marketing. He is currently finishing his Bachelor studies at WHU - one of Germanys leading business schools and Head of Marketing at the Kingii Corporation. Kevin is a 20+ year veteran of the Mobile and Digital industry having worked at Nokia, Ericsson, Sony Ericsson, Siemens Enterprise and Unify. Kevin received an MBA from the American Graduate School of International Management and is the co-founder and CEO at Educe Mobile. Mats Horn, a Swedish - American entrepreneur and founder of Tinitell, is looking at redefining the HW/SW ecosystem with simple and creative solutions. He's an architect, "southern boy", arctic ranger, and free spirit in search of the perfect consumer tech product. After he graduated from Brown University, Mats moved back to Sweden and pulled together a team of telecom experts, designers, engineers and marketing professionals to form what has become known as Tinitell. Ever since I first started using the Internet I have thought about how one can bring the global online community in to the physical local space. I wrote my master thesis in political science about online communities effect on how we perceive nation states. This was early 2000 and long before Facebook. My fellow students were politely interested and my teachers not at all… So I took a detour and ended up in the finance industry. Headed a department for electronic equity trading at one of Sweden’s largest investment banks. I stayed on during the whole financial crisis until one and a half year ago. Quit my day job and turned entrepreneur. 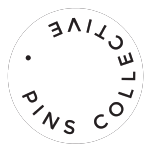 The vision with Pins Collective is to move the digital space into the local physical community. Letting people create, wear and share digital ideas, designs and opinions without any physical borders – but at the same time enabling the user to move these digital creations into the physical space. 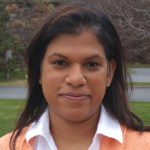 Sharon has an extensive career in capital project development backed by significant accomplishments and leadership roles in manufacturing, quality assurance, process development and problem solving. No stranger to breaking the mould, she became the first female General Manager within a 123 year old conglomerate. Her education and professional certification spans from engineering to specialization in project risk and scheduling management to technical entrepreneurship for high tech startups. She is passionate about the difference Health Care Originals can make in the respiratory field. As Co-Founder of Health Care Originals, she ensures that the voice of the customer is heard, bringing to bear her experiences as an asthmatic. Sharon’s experiences and skills have evolved over the years equipping her to create a sustainable tech company in the emerging medical wearable space. When Sharon is not engaged in Health Care Originals or in thought provoking ideas on sustainable energy, she loves spending time creating dishes, taking in the outdoors or reading. 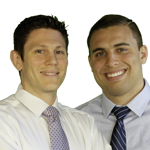 Anthony received their MBA from Arizona State University, a lifelong athlete and a collegiate Rugby player. He focused his passion to use technology to improve the level of safety in sports. 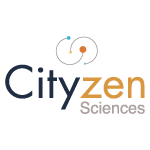 Antoine is Chief Marketing Officer at Cityzen Sciences. He has a sports marketing background. He has been working for Cityzen Sciences for 5 years where he can work on two of his passions : sports and new technologies. 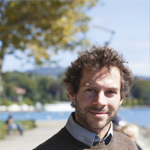 After an engineering degree from Supélec Paris (F) in 2007, Dr. Mariani obtained a PhD from EPFL (CH) in 2012. He has cumulated 8 years of experience in the field of wearable sensor technology. He has worked on various academic and industrial projects in movement disorder and rehabilitation including gait, running, and swimming with patients and athletes. 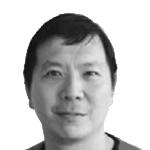 His expertise covers sensor design, signal processing algorithm, and data analysis. Antti Kemppainen is working as Key Account Manager for VTT Technical Centre of Finland in the field of Printed and Hybrid Manufacturing. He joined VTT in 1997. He has worked in the field of printed and hybrid electronics and its applications since 2001 previously as researcher, project manager and team leader. He is actively working with several leading printed electronics technology companies as well as end user companies in various R&D projects. 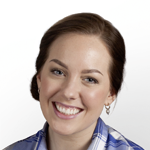 Kristina is the Project Manager of SKUGGA since 2014, as well as one out of five co-founders. Her work experience is within product development focusing management, and she has a M.Sc. in Industrial Design from RIT in Stockholm. Alfonso Cioffi is a wearable technology maverick and a software and hardware specialist. 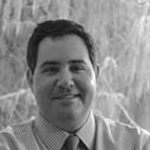 With an experience of over 22 years in the field of technology, Alfonso owns a wealth of experience spanning across a variety of different fields and covering over two decades in communications and new media product. On top of his love for technology he also mastered marketing and sales for various multinationals around the world. Today he offers his expertise by conceiving the most cutting-edge products at WRMT and by leading the SPACE technology ecosystem project, with an international team of up to 40 engineers at WRMT Shenzhen lab, and collaborates with top international partners on development of a lot of Android mobile and wearable devices and several generations of a computer-vision-based wearable eyewear technology. 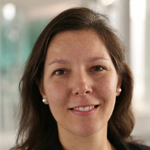 With a PhD in Photonics and Neural Networks, Dr. Sonia Sousa has been at the forefront of innovation in wearable technology, big data and life sciences. 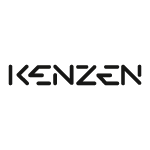 As co-founder and CEO of Kenzen, Sousa is committed to mapping human physiology via sweat analysis and continuous health monitoring technologies. Nikoletta is passionate about passion. Do what makes you happy – you only live once. 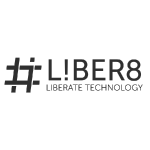 This is why she is so blissful to be the co-founder of LIBER8 Technology. She loves the first product, the tago arc. It is only one bracelet, but users can continuously change the pattern on it with their smartphone’s application to always match their mood and outfit. 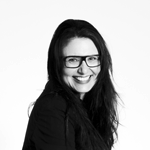 Nikoletta has 15 years’ experience both in media and corporate communications. 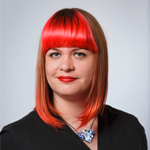 She has several years of experience in international project management as well. She is obsessed with life-long learning and fully committed to build valuable partnerships. Dr Dianne Jones is an expert and early pioneer in the wearable electronics and smart textiles field and has worked in both research and commercial roles for 20 years. She has a track record in taking electronic textile technologies to market and has developed and sold commercial products to many of the world’s leading apparel brands in a broad range of applications. Having introduced millions of units of wearable electronics products to the market she has a unique insight into the end user, manufacturing, commercial and technical demands of the Wearables industry. 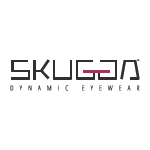 At i-Lume, Dianne works with customers in the outdoor apparel, sportswear and industrial clothing sectors to implement i-Lume products into their garment ranges. As Head of the M2M at Swisscom, Gerhard Schedler leads the development of the M2M business unit in both national and international markets. Prior to Swisscom, Gerhard Schedler, held the position of President & CEO, IDENTEC SOLUTIONS where he was instrumental in transforming the company from a tech start up into a global leader of active RFID and wireless solutions. As a co-founder, and initially CTO of IDENTEC SOLUTIONS, Schedler was responsible for defining the product and solution offering. 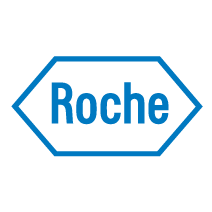 Schedler was also accredited with establishing an industry alliance that ultimately led to increased market adoption and standardization. Mr. Schedler holds both a technical degree from the University Of Applied Sciences Of Technology Buchs (Switzerland) and a Masters of Business Administration (MBA) from the University of Economics in Strathclyde (Scotland) and is also named on several RFID patents. 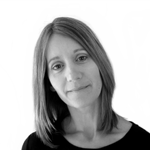 Marie Mc Carthy, Director Product Innovation, is part of the multidisciplinary Innovation Team at ICON PLC with responsibility for developing solutions in the direct to patient paradigm. Previously worked with Philips Respironics, building awareness of the value of Actigraphy endpoints as objective measures of clinical change among Clinicians and Researchers. Andrea joined STMicroelectronics' R&D Lab in Castelletto, Italy, in 1990 as designer of mixed signal audio IC’s for both consumer and car radio applications. After five years of successful activity with several patents in the Audio field, he moved to Product Management, in charge of Marketing for Consumer Audio and had the full responsibility of design, marketing and application for Audio Systems products. In 2005, Andrea’s organization was transformed into a Product and his scope was subsequently enlarged to include management in Planning, Operation and Quality of Audio products. 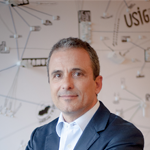 Andrea Onetti became general manager of the division with a portfolio including Audio, catalog analog standard products, Space, Defense and Automotive, analog ASIC’s for consumer applications and low power wireless solutions. 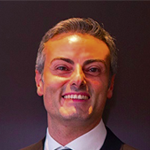 In August 2014 Andrea Onetti’s responsibilities were further extended with his appointment as head of the Volume MEMS & Analog Division which encompasses ST’s industry-leading consumer motion MEMS activities as well as the portfolio of the former Analog and Audio Systems Division. Managing Director of MSWtech in Stein / Germany (www.mswtech.de). MSWtech was founded 1983 as Software development and Consulting company. Today MSWtech supports companies to find value in new technologies – especially printed electronics. Wolfgang was Managing Director of PolyIC (leading company for Printed electronics) from 2004 – 2014. Before Wolfgang Mildner worked in various business positions for Siemens (New business development, Business responsible for Industrial PC’s, Failsafe PLS’s and other). Wolfgang Mildner was responsible for a number of projects turning promising technologies into business. Wolfgang Mildner studied Computer Science at the Technical University of Erlangen. Wolfgang Mildner is member of the Organic Electronics Association/VDMA. Wolfgang Mildner is General Chair of LOPEC (largest Event for printed Electronics). He is also member of the Executive Advisory Board of TU Munichs MBA Program.